Placements, project work and public history courses are enriching the curriculum in growing numbers of history departments in the UK. Innovative work is being done, training students to make films and podcasts, to respond to current affairs with historical insights and to use online platforms for crowdsourcing objects and memories. Generally, these are new additions to the existing portfolio of modules, aiming to show students history at work in the wider world and the potential value of their skills to a variety of careers. Students and staff can readily distinguish between what is an “academic” and what is a “public history” module. But what happens when this assumption is broken down? If public history isn’t something self-evidently separate, how might the curriculum look? This year, I was involved in conducting group interviews of applicants to Essex. Meeting seven prospective students at a time was fascinating; in each group I saw a different mix of motivations and aspirations for studying history. But there was one perspective they shared: a sense of the meaningfulness and resonance of the past today. Not once did I get a casual reference to the “lessons of history” designed to impress the interviewer (NB: a mistaken presumption – we will always pursue it). The comments felt genuine and unrehearsed. They chose different ways to articulate it, but the basic premise was that to navigate and understand a turbulent, fractured and shifting present, they needed a critical purchase on the past and its legacies and influences on the world today. I say “the world” because, despite the characterisations of this generation as apathetic and self-interested, they were politically attuned. Many aimed to study British history, but they made global connections, becoming interested in learning Chinese, South American or Russian history from seeing these countries and regions discussed extensively on the news. They saw history as a degree that would allow them to develop the tools needed to make sense of a complex world. Student “demand”, like “employability” and “relevance”, is an imperative recognised in university departments, if not always fulsomely welcomed. They are terms often dismissed as impositions from above, representing the pernicious influence of marketisation on higher education. But the students’ comments suggest to me that we need to take the time to look a little more closely: what are they actually “demanding” here? The complaint that students in the UK only want to hear about Nazis and Tudors is the same one levelled at the general public. The Chalke Valley History Festival was recently criticised for a programme heavily weighted towards the Second World War and Henry VIII, and for the woeful under-representation of women and people of colour among the speakers (thirty-two and one, respectively, from a total of 148). Author and presenter, Tom Holland, brother of the organiser, hit back on Twitter: “It lives & dies by ticket sales. Most people are most interested in Tudors & Nazis. The Tudors & Nazis were white”. Some responses to Holland pointed out that public appetite for a more diverse historical menu did indeed exist; when it was offered, audiences engaged. The Twitter altercations revealed one of the most important fault-lines in public history at the moment: the extent to which responsibility falls on “producers” of history – film and TV companies, publishers, festival organisers, but also museums, galleries, archives and so on – to create content for their “consumers” that consciously and insistently represents the diversity of human experience in the past. To argue, as Holland did, that “ticket sales” are the ultimate arbiter, seems weak. Are we saying that producers of history are merely passive purveyors of the past, catering to the predilections (and prejudices) of the consuming public? As public historians we would answer with an emphatic no. We hope that our work can challenge, enlighten and reveal. Historical interpretation is always a dialogue, never a transaction. Perhaps even more important are the ways we show our workings, sharing with our audiences how the tasks of historical meaning-making and representation have been done. But none of this effort on our part makes the expression of people’s preferences redundant; understanding “demand” is part of the dialogue. We cannot dismiss the public’s – or our students’ – interest in and commitment to historical learning as predictable, unimaginative or incurious. Maybe we are just asking the wrong questions, or just not listening carefully enough to the answers. This is why I was so struck by what the applicants said. It suggested there was an opportunity to do some really interesting, sharp-edged, disruptive history, satisfying our convictions about the intellectual and critical value of history as well as students’ concern to get a surer grasp of the world they inhabit. Historians are often bemoaning the ahistorical short-termism of politics and the poverty of historical consciousness in public life; well, let’s train a generation of historians to think with history. For me, public history is history tuned more sharply into the present, alive to the powerful ways in which the past conditions and intrudes on the world we live in today – and to how historical understanding gives us tools to live in and with that world. Public history has so much more to offer history students than a bolt-on to the main curriculum. We should keep the work placement and the specialist courses, but not regard them as sufficient or self-sufficient. 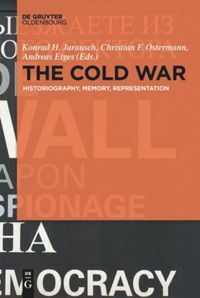 There are many ways we could integrate the sensitivities and approaches of public history into the curriculum: the source analysis that asks not just about its meaning in context but also what the longer-run legacies might have been; or the workshop that starts with a controversy in the present and traces back the arguments and claims being made. We say, as historians, that history matters, that its insights are vital to the present and future – now let’s see what happens when we teach as if it does. Booth, Alan.Teaching History at University. Enhancing Learning and Understanding Abingdon: Routledge, 2003. Green, Alix R. “Disciplinary training and public purpose in university history teaching” in Green, A., History, Policy and Public Purpose: Historians and Historical Thinking in Government. Basingstoke: Palgrave Macmillan, 2016. Fink, Nadine: “Teaching History in Order to Develop Critical Thinking?,” Public History Weekly 5 (2017) 27, DOI: dx.doi.org/10.1515/phw-2017-9697 (last accessed on 30 August 2017). Historians for History: https://historiansforhistory.wordpress.com/ (last accessed on 30 August 2017). Tools © Pierre Metivier (2003) via Flickr. Green, Alix: Tooling Up: Public History in the University Curriculum. In: Public History Weekly 5 (2017) 29, DOI: dx.doi.org/10.1515/phw-2017-9838 . Public History wird zunehmend an Universitäten sichtbar. Bisweilen hat sie ihren starken VerfechterInnen innerhalb der Dozentenschaft oder aber ist Antwort auf Forderungen der Universitätsleitung nach einer Aufwertung der historischen Studiengänge und besseren Vorbereitung ihrer AbsolventInnen auf einen unsicheren Arbeitsmarkt. Es braucht also nur ein Seminar über den Umgang mit Geschichte im Film, Museum oder in Gedenkstätten. Dazu schafft man Hospitationsmöglichkeiten und führt Studierende mit lokalen Initiativen zusammen, um Mikroprojekte durchführen zu lassen. Aber wird dieser Ansatz den Studierenden gerecht? Was passiert, wenn man ihn umkehrt und, statt nur neue Angebote unter dem Label “Public History” anzubieten, nach Möglichkeiten sucht, ihren kritischen Zugang in das bestehende Lehrangebot zu integrieren? 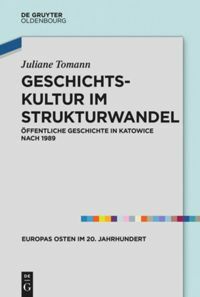 Praktika, Projektarbeit und Public-History-Kurse bereichern zunehmend das Angebot britischer Geschichtsfakultäten. Auf innovative Weise werden Studierenden Fähigkeiten vermittelt, Filme und Podcasts zu erstellen, aktuelle Ereignisse historisch zu reflektieren und Onlineplattformen für das Crowdsourcing von Objekten und Erinnerungsdokumenten zu nutzen. Meistens sind es Ergänzungen zu bereits bestehenden Seminarangeboten, die Studierenden vermitteln, wie Geschichte im Alltag präsent ist und wie ihre potentiellen Kompetenzen in verschiedenen Beschäftigungsfeldern Anwendung finden können. Studierende und DozentInnen unterscheiden dabei problemlos zwischen den “akademischen” und den “Public History” Modulen. Was jedoch, wenn diese Unterscheidung nicht so offensichtlich wäre; wenn Public History nicht als etwas Selbstständiges behandelt werden würde? Wie würden die Studieninhalte aussehen? Ich habe dieses Jahr Gruppeninterviews mit StudienanwärterInnen der Universität Essex geführt. Es war faszinierend, sich mit sieben potenziellen Studierenden gleichzeitig zu unterhalten. In jeder Gruppe wurden andere Gründe für die Aufnahme eines Geschichtsstudiums und damit verbundene Ambitionen formuliert. Allen war jedoch gemein, dass sie der Vergangenheit Bedeutung und einen Bezug zum Heute beimaßen. Dabei fiel nicht eine einzige Bemerkung über ein “Lernen aus der Geschichte“, die die Interviewerin hätte beeindrucken sollen (notabene eine falsche Annahme, von der wir immer ausgehen werden). Die Antworten schienen ehrlich und spontan. Wenn auch unterschiedlich formuliert, gingen alle davon aus, dass ein kritisches Verständnis der Vergangenheit, ihres Erbes und Einflusses auf die heutige Welt notwendig sei, um sich in einer schnelllebigen, differenzierten und konstant wandelnden Gegenwart orientieren zu können. Ich spreche bewusst von “Welt”. Obwohl die Generation dieser Studierenden als gleichgültig und eigennützig handelnd charakterisiert wird, zeigten sie politisches Interesse. Viele gaben an, Geschichte Großbritanniens studieren zu wollen, stellten aber globale Bezüge her und interessierten sich auch für die Geschichte Chinas, Südamerikas und Russlands – Regionen, die in den Medien stark präsent sind. Sie betrachteten Geschichte als ein Fach, das ihnen die Instrumente zur Entschlüsselung einer komplexen Welt an die Hand geben würde. Die “Nachfrage” der Studierenden nach “Beschäftigungsfähigkeit” und “Relevanz” wurde von den Fakultäten akzeptiert, aber nicht immer überschwänglich begrüßt. Oftmals wird sie als externe Einflussnahme abgelehnt, die die negativen Auswirkungen der Marktorientierung auf die akademische Bildung zeige. Die Aussagen der befragten Studierenden legen jedoch nahe, sich intensiver der Frage zu widmen, was eigentlich “nachgefragt” wird. In einigen Reaktionen auf Holland wurde unterstrichen, dass ein genuines öffentliches Interesse an einem abwechslungsreicheren Angebot bestehe und derlei Veranstaltungen auch besucht würden. Die Auseinandersetzung auf Twitter verdeutlichte dabei einen der aktuell zentralen Streitpunkte im Bereich der Public History: die Frage, wieviel Verantwortung “GeschichtsproduzentInnen” – Fernseh- und Filmemacher, Verleger, Festivalleitungen, aber auch Museen, Galerien, Archive und andere Institutionen – tragen, Inhalte für ihre “KonsumentInnen” zu produzieren, die bewusst und nachdrücklich die Vielfalt der menschlichen Vergangenheitserfahrungen widerspiegeln. Das auch von Holland angeführte Argument, der “Ticketverkauf” sei der entscheidende Faktor, scheint unzureichend. Sollten ProduzentInnen etwa lediglich passive AnbieterInnen von Vergangenheitsausschnitten sein, die die Vorlieben (und Vorurteile) der konsumierenden Öffentlichkeit bedienen? Als VertreterInnen der Public History müssen wir dies entschieden ablehnen. Wir hoffen, dass unsere Arbeit herausfordern, aufzeigen und erklären kann. Geschichtsdeutung ist stets ein Dialog und nie ein Geschäft. Vielleicht ist es wichtiger, wie wir unser Handwerk präsentieren und damit der Öffentlichkeit zeigen, wie Deutung und Darstellung von Vergangenheit funktionieren. Redundant werden die von der Öffentlichkeit ausgedrückten Vorlieben dadurch bei Weitem nicht. Die “Nachfrage” zu verstehen, ist Teil des Dialogs. Das Interesse der Öffentlichkeit – und unserer StudentInnen – und ihr Engagement in historisches Lernen dürfen nicht als berechenbar, einfallslos und gleichgültig abgetan werden. Womöglich stellen wir die falschen Fragen oder hören bei den Antworten nicht genau genug hin. Daher trafen mich die Aussagen der BewerberInnen dermaßen. Sie legten nahe, dass eine höchst interessante, anspruchsvolle und aufwühlende Geschichtswissenschaft möglich ist, die einerseits unsere Überzeugung von ihrem intellektuellen und kritischen Mehrwehrt trägt und andererseits dem Wunsch der Studierenden entgegenkommen würde, die sie umgebende Welt besser zu verstehen. HistorikerInnen beklagen gerne die ahistorisch kurzen Zeithorizonte, mit denen die Politik operiert, und das fehlende Geschichtsbewusstsein der Öffentlichkeit. Nun, vielleicht sollte eine neue Historikergeneration ausgebildet werden, die die Vergangenheit stets mitdenkt. Public History verstehe ich als Geschichtswissenschaft, die stärker mit dem Heute verquickt ist; die sich bewusst ist, welchen Einfluss vergangene Prozesse auf unsere heutige Welt ausüben und wie historisches Wissen uns für ein Leben in und mit dieser Welt ausrüstet. Public History kann GeschichtsstudentInnen so viel mehr bieten, als lediglich eine Ergänzung zum bestimmenden Lehrprogramm darzustellen. Praktika und Fachseminare sollten beibehalten werden. Diese stellen aber kein ausreichendes oder eigenständiges Angebot dar. Das Verständnis und die Zugänge der Public History können auf verschiedene Weise in das Lehrangebot integriert werden: eine Quellenanalyse, die nicht nur nach der Bedeutung der Quelle in ihrem historischen Kontext fragt, sondern auch mögliche “Langzeitwirkungen“ berücksichtigt, oder ein Workshop, der bei einem aktuellen Konflikt ansetzt und dessen Argumente und Forderungen in die Vergangenheit zurückverfolgt. Wir HistorikerInnen behaupten, dass Geschichte von Bedeutung und ihr Verständnis für unsere Gegenwart und Zukunft entscheidend sei – lasst uns sehen, was passiert, wenn wir Geschichte auch diesem Verständnis nach lehren. Booth, Alan. Teaching History at University. Enhancing Learning and Understanding. Abingdon: Routledge, 2003. 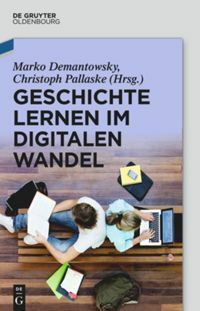 Fink, Nadine: “Teaching History in Order to Develop Critical Thinking?,” Public History Weekly 5 (2017) 27, DOI: dx.doi.org/10.1515/phw-2017-9697 (letzter Zugriff am 30. August 2017). Historians for History: https://historiansforhistory.wordpress.com/ (letzter Zugriff am 30. August 2017). Green, Alix: Aufrüsten: Public History an Universitäten. In: Public History Weekly 5 (2017), 29 DOI: dx.doi.org/10.1515/phw-2017-9838. Thank you Alix for bringing up the status and role of public history into the larger curriculum. I agree that the question may no longer be “do we need new public history programs?” but instead “how are public history practices encouraging historians to re-thinking history training at large?”. Public history is actually the perfect issue to make students and historians think about the relation between past and present, activism and scholarship, or the links between producers and audiences. I also like your argument to take students’ needs and profiles into consideration when developing public history projects. I have been struck by the number of skills – especially by graduate students who have previous experience – students can bring to courses and projects. Capitalizing on student’s individual skills – and how they teach/help each others – is definitely a way to enrich public history training. Finally, on the point about the role of producers, it reminds me of a discussion launched by Jim Gardner about the role of historians in crowdsourcing projects and the limits to shared-authority approach. I agree with him when he clearly distinguishes between opinion and knowledge. This highlights the historian’s agency into public history. We are not only communicating to/with the public, we do not always promote what the public wants (especially regarding difficult topics), we are not all working on WWII or the Tudors, and this is fine. This partly comes from the fact that “public” should be approaches as “publics”, and leave space for the complexity and diversity of the past. Thanks again for developing on the balance between needs and offers.